As I planned this retreat I must admit I anticipated Cuba to be a one time adventure. I was in no way prepared to fall madly in love with the island. 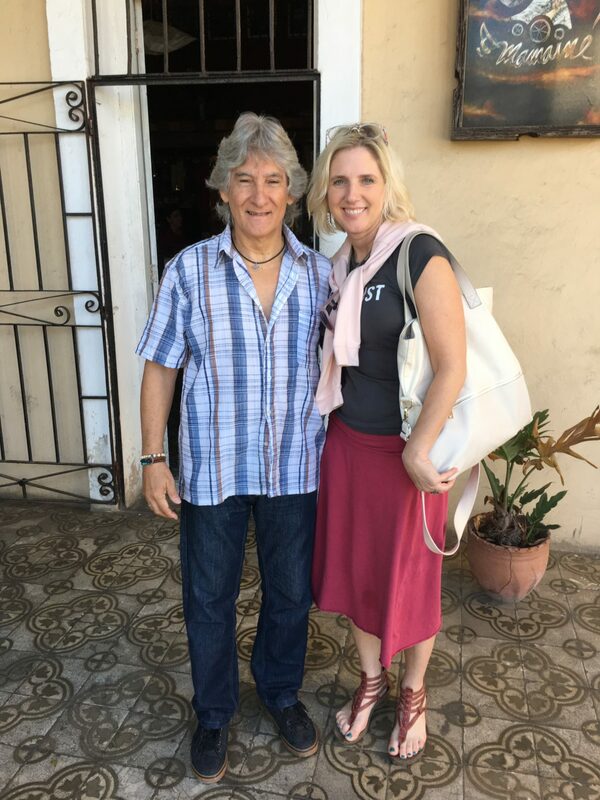 The opportunity had somewhat fallen into my lap last August as a friend who owns Artful Living magazine approached me with a retreat plan so he could travel with clients there as well. I usually like to plan a retreat for at least one year so it felt rushed. There was a trepidation regarding traveling to a country with such a volitile history. But I reminded myself of my own mantra to face the unknown. I signed up, and was thrilled when some of my favorite people signed up to go on this adventure with me. Planning this retreat was a completely different experience. I’m used to doing the programming on my own but regulations from the country meant I had to put faith in an organization that runs tours to Cuba. 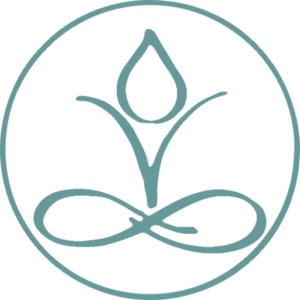 As a yoga teacher running a retreat, I had obligations to work with the blossoming yoga community there. This was done understanding that yoga is not yet a top draw bringing tourists to the country. It is interesting up front, but again the concept was much different than my previous experiences. It was a bit like handing your baby over to a sitter for the first time. I’m not always the greatest delagator so there were a few worisome moments as I prepared a trip to Cuba from my desk in Eau Claire. I had one big ball in my court; my retreaters were seasoned travelors and knew how I worked. I knew they could roll with changes and so I packed up my bags, a few mats, and flew to Miami. An adjustment for Vladamir under the watchful eye of Fidel. From Miami we flew into Cuba and checked into The Hotel Nacionale. I could write ten blog posts on the history and culture of this country but the yoga was part of my purpose. 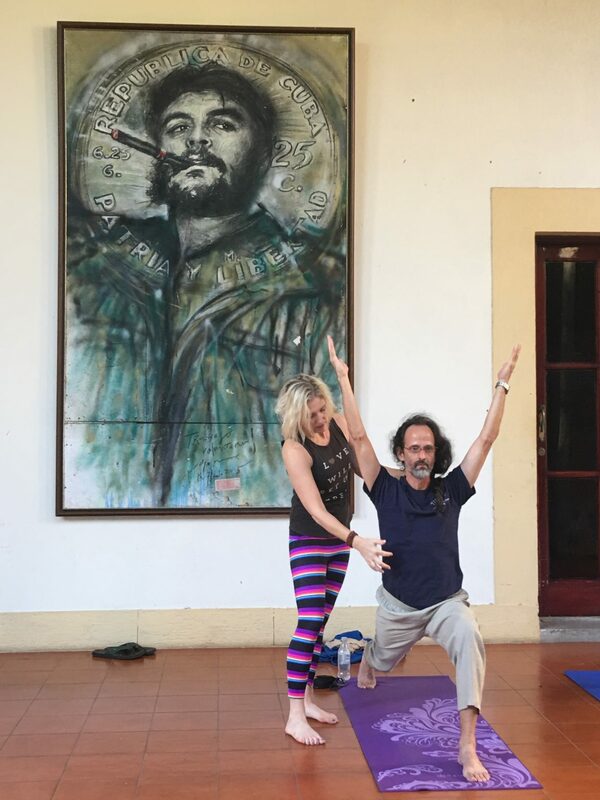 The first class was a day later and I was directed into a large ballroom to meet the Cuban Yoga Community. I met Mary, a french women who traveled to Cuba on a regular basis to teach them how to teach and spread the values of the practice. It was my role the first day to co-teach with Jorge whom was a new teacher just finding his voice. On the second day I taught in the veranda overlooking the hotel grounds. I had a translator and led the class again with Jorge. I think it hit me there how this ancient practice bridges gaps. Not only cross-cultural between the Cuban community and myself but gaps in a community that experienced happiness amongst hardship. At the end of the second day Jorge told us that although the Cubans have faced many difficulties yoga makes them happy. Humbled and honored to be a recipient of his teachings. The following day I met Eduardo Pimental. Adrinana, our Cuban guide only told me that he was a very special teacher and took me to share coffee with him. She told me, “when he speaks in a yoga class and there are 30-60 people I feel as though his voice is moving directly into my heart.” As a younger man in the 70’s Pimental found a few yoga books like Hatha Yoga and Kundalini Yoga by Swami Sivananda, which resonated with him on a profound emotional level. As he began to spread the practice one or two yogis at a time he began to understand the profound impact he could have on a culture with so much inconsistency. He began to hand write letters over a 15 year span to B.K.S Iyengar. In the 90’s he was visited by a Catholic Jesuit priest who was bringing students to the country. The priest asked him to teach yoga to his students and Pimentel believed it gave him the credibility in a largely Catholic culture to visibly promote yoga as a holistic option in a country with a struggling health care system. He was given special permission to teach in a especially restrictive time when the country itself struggled under the Communist block and lacked the most basic necessities. He was given the opportunity to travel to meet Iyengar and told me that the first time Iyengar adjusted him in Trikonasana (Triangle pose) it was if someone had breathed life into him.